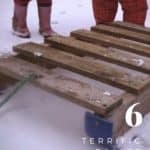 Top 15 Tools For Your Pallet Projects You Can Buy at Amazon! Saving money and recycling is fashionable again, and that includes DIY pallet crafting. However, woodworking with the wrong tools adds time and frustration to your projects. 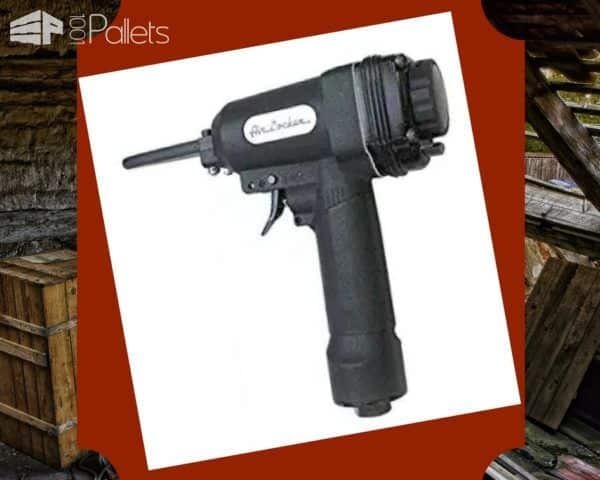 That's why we've got a list of the Top 15 Pallet Tools for your pallet DIY ideas! Increase your comfort, safety, and productivity with 15 Pallet Tools for your workshop. In our excitement to build, safety sometimes gets forgotten. However, we've got you covered. Some of the first items are necessary safety equipment - with a twist! An essential item in your Pallet Tools cabinet! Safety glasses! Keep a tape measure handy. A Pallet Tools purchase that you'll use for years! 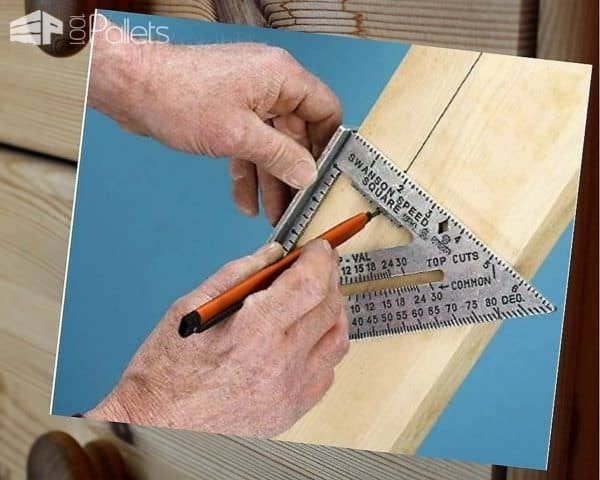 A square tool is a must when precision-fitting a drawer or making your projects straight. A set of nail setters and center punches allows you to remove nails on a shoestring Pallet Tools budget. Who needs electricity when you have a Pallet Buster Tool? A good-quality claw hammer is a must when woodworking! 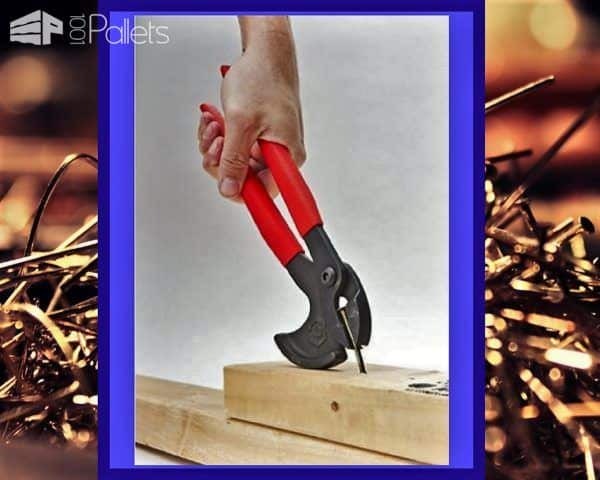 Another handy Pallet Tools addition: Nail pulling pliers make quick work of pesky nails and staples. A hand planer can fix uneven edges quickly! You can make do with a single drill or even a screwdriver, but a cordless drill and impact driver set makes pallet crafting so much faster! If you want more power when dismantling pallets, get a reciprocating saw - a favorite item on anyone's Pallet Tools wish list! A pneumatic nail remover tool! A versatile Circular Saw saves time and reduces fatigue. Circular saws are some of the Pallet Tools that dramatically speed up your project. 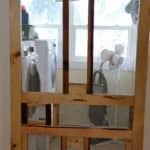 Rage against the pallet wood with a compound miter saw! A dream Pallet Tools item when working with pallets is a benchtop planer! We're exposed to noise pollution every single day. Don't lose your ability to hear the kids or pets doing naughty things! But, we've got a set of hearing protectors with geek factor that you'll appreciate! Bluetooth connectivity so you can listen to your favorite tunes and the ability to answer phone calls without removing the muffs! Yes, technology is cool sometimes. 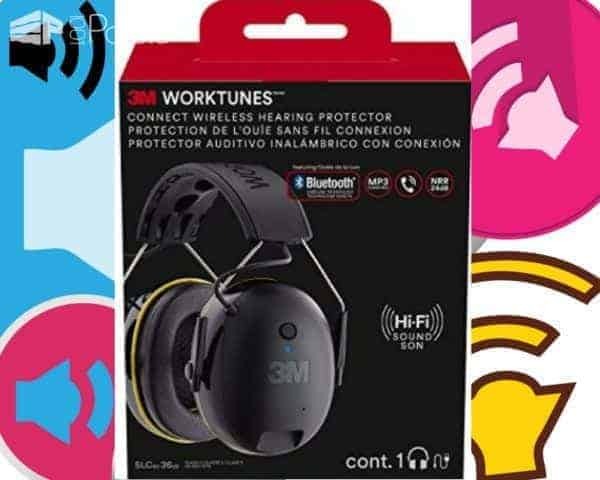 The 3M WorkTunes Connect Wireless Hearing Protector with Bluetooth Technology combines a modern, comfortable design with hi-fi sound quality. Conveniently make and take phone calls while you're on the job. Built-in comfort features such as soft ear cushions and a Hat-compatible, low-pressure headband are excellent for extended wear. Add this to the top of your Pallet Tools list. The eyes have it! Whenever you're woodworking, ALWAYS wear eye protection. Hammers have chipped while in use, and whenever you cut wood, there's the possibility of wood bits flying into your face. 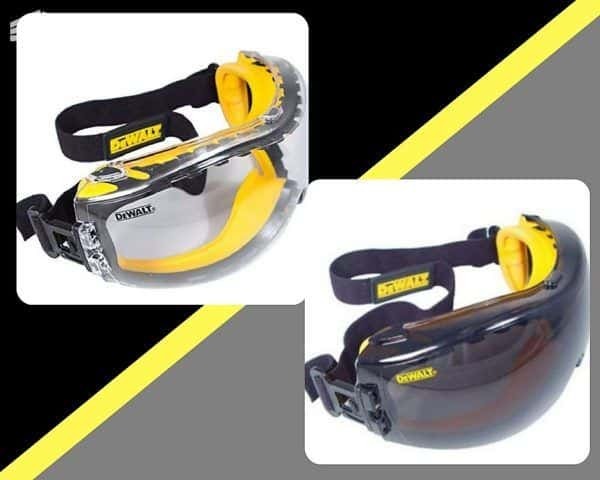 We chose a set of goggles that seals comfortably and is ventilated, so they don't fog while working. Never woodwork without eye protection. 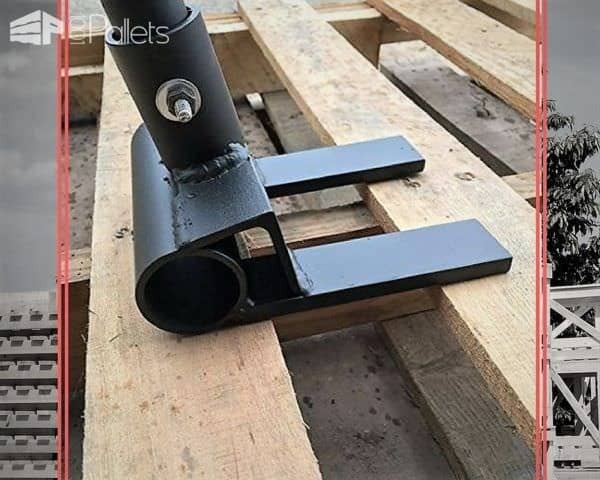 This is a Pallet Tools must-have item! 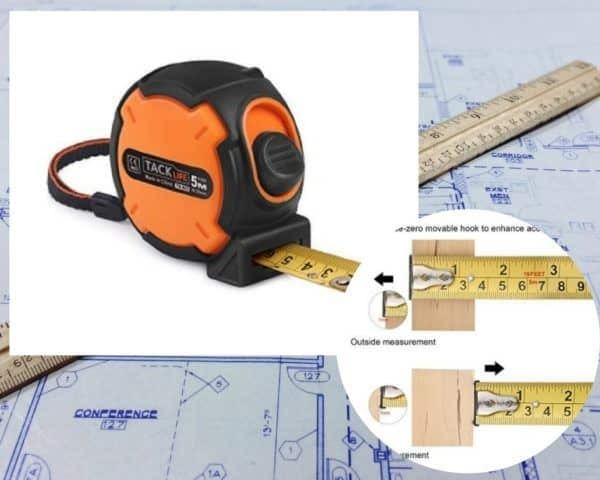 Here is the TackLife TM-B03 Classic Tape Measure 26Ft Retractable Measuring Tape with Wrist Strap, Magnetic Hook, Nylon Coating. The Swanson Tool S0101 7-inch Speed Square is lightweight, fits in a pocket, and keeps your projects squared up! Give yourself a straight line to cut along, too! Plus, speed squares are reasonable! Recess the fasteners you use and cover them with wood plugs so that you have a seamless, clean surface. Nail Setter and Center Punch Set is a brilliant tool to recess nails into wood trim. 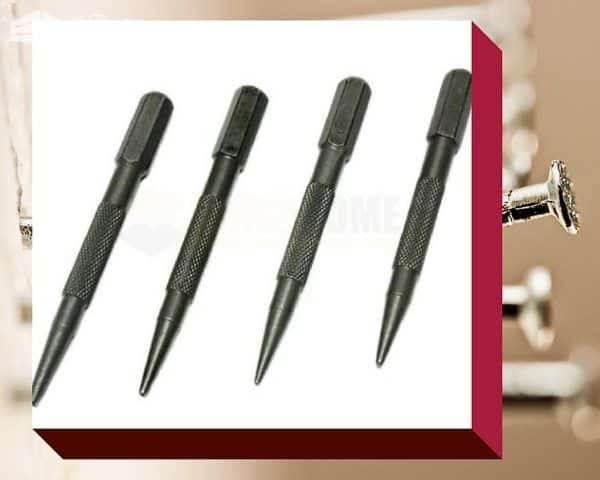 The center punch is used to mark the center of a point, such as the center of a hole when drilling holes Punches are used to drive objects, such as nails, or to form an impression of the tip on a workpiece. Reclaim pallet wood with ease using a Pallet Buster Tool. Durable steel construction will last for years. Made in the USA, too! For a complete review of the best pallet buster available on the market, check out our article Top 7 Best Pallet Buster & Pallet Breaker Reviews! 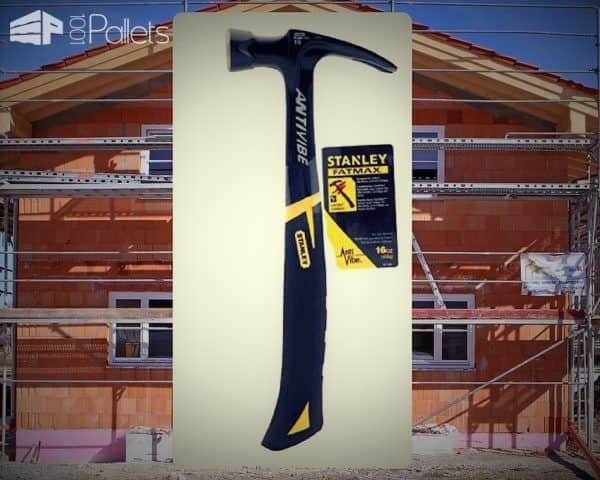 This Stanley 51-163 16-Ounce FatMax Xtreme AntiVibe Rip Claw Nailing Hammer will last for years and save you from the after-project shoulder ache. Patented torsion control grip technology reduces the effects of torque on wrists and elbows. AntiVibe technology minimizes vibration and shock at impact. Crescent NP11 11-Inch Nail Pulling Pliers are designed to pull nails in a variety of work environments. Capable of "Pulling" nails through a piece of wood in circumstances where the head of the nail is not accessible. 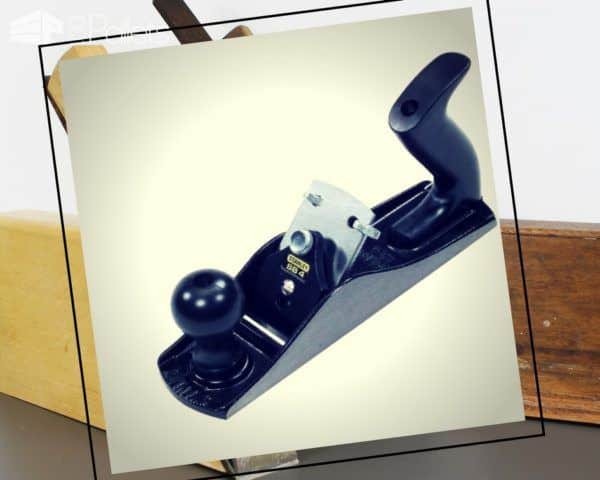 A hand planer like this Stanley 12-404 No. 4 Adjustable Bench Plane with 2-Inch Cutter is an outstanding tool that quickly straightens rough edges! 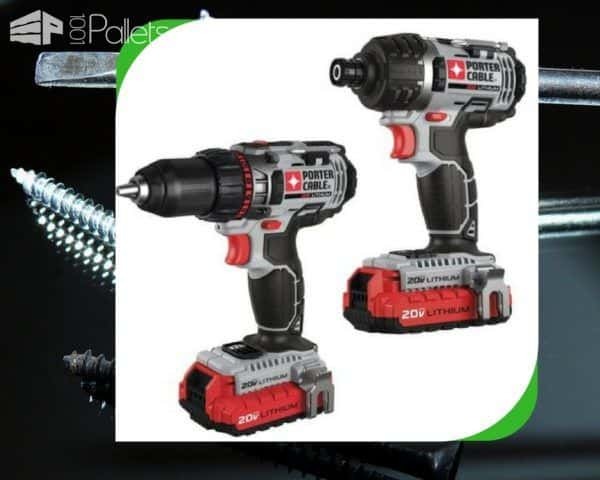 A PORTER-CABLE PCCK602L2 20V MAX Lithium Ion 2-Tool Combo Kit makes DIY pallet projects a breeze! 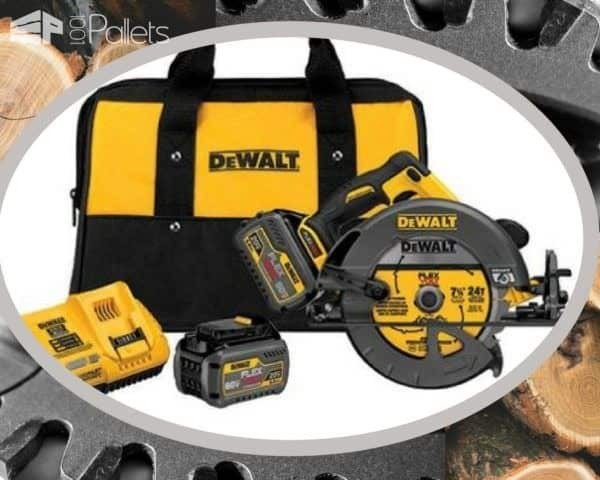 This lightweight set includes a cordless drill/driver, a cordless impact driver, two lithium-ion compact batteries, one battery charger, screwdriver bits and kit bag. Both units are compact and lightweight. Both include a built-in LED light and belt clips. The DEWALT DCS380B 20V MAX Li-Ion Reciprocating Saw features a 4-Position Blade Clamp that allows for flush cutting and increased positional versatility with tool free blade changes. 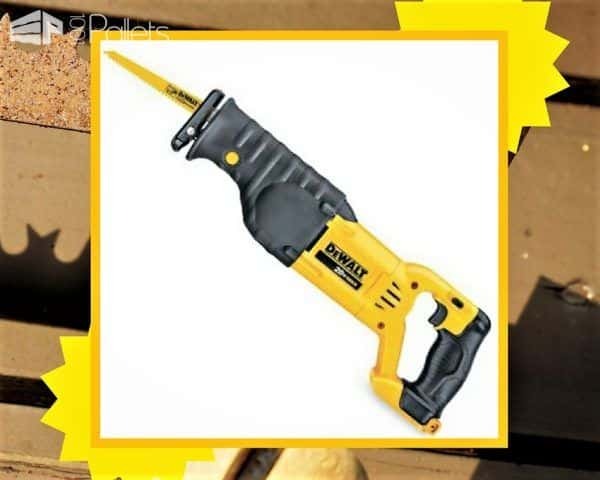 The Air Locker ap700 Pneumatic Punch Nailer/Nail Remover does exactly what it’s supposed to do – it drives nails out of the wood. This little powerhouse can deal with any wood type, including hardwoods. Drive fasteners out of the workpieces quietly, efficiently and with precision while maintaining the integrity and quality of the wood. A set like this DEWALT DCS575T2 FLEXVOLT 60V MAX Brushless Circular Saw with Brake and 2 Battery Kit makes cutting wood a snap! Evolution Power Tools RAGE3 10-Inch Multipurpose Cutting Compound Sliding Miter Saw is a woodworking beast! The RAGE3 offers all the functionality of a standard miter saw while cutting through materials never thought possible. 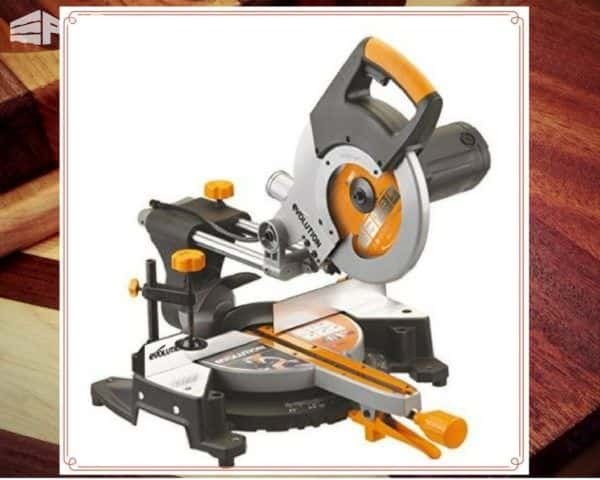 This 10” sliding compound miter saw will cut steel, aluminum, plastics, and wood (even wood with nails); using just one blade. 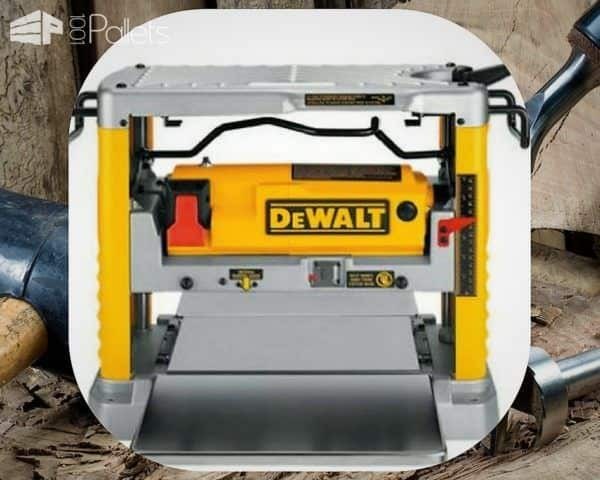 DEWALT DW734 15 Amp 12-1/2-Inch Benchtop Planer has a powerful 15-amp, 20,000 RPM motor handles more substantial, deeper cuts in hardwoods.Three knife cutter-head with 10,000 RPM provides 96 cuts per inch - one of the most beautiful finishes of any portable planer. Disposable, reversible knives deliver 30 percent more knife life and make knife changes a piece of cake! Four-column carriage lock drastically reduces the movement that causes snipe. Extra-long infeed and outfeed tables provide 33-1/2 inches of material support. Now that you have the tools, we want you to stay safe when working with pallets. Check out our article on Workshop Safety Tips! 5 Easy Pallet Snowman Ideas For Your Holidays! 20 Wedding Pallet Craft Ideas! I’ve ruined a few sets of planer knives with “cleared” pallet planks. Now I don’t plane them. Super liste, ça faisait longtemps que j’en cherchais une. I would add a heavy duty belt sander (the Makita one is awesome) and a table saw to that list. Oh yes! The more tools the merrier once you get started. :D -HS. Which Screws To Choose for Your Wood Pallet Projects? 10 Pallet Holiday Decor Ideas You Created!